President Barack Obama executed an end run around Congress when he announced a significant retooling of a plan designed to help homeowners who are paying their mortgages, but still underwater, refinance their loans at a more affordable interest rate. Administration officials said the changes will streamline the government’s Home Affordable Refinance Program (HARP) and could dramatically increase the number of borrowers who have refinanced their loans under the program past the current 894,000. They did not specify how many borrowers might be eligible or likely to participate. The program, which is voluntary to lenders, will be available only to homeowners whose mortgages were sold to Fannie Mae and Freddie Mac on or before May 31, 2009, and who have a loan-to-value ratio above 80 percent. The downside is that hundreds of thousands more could not qualify — primarily because of the previous 125 percent loan-to-value limit on the program or because banks refused to take on the risk. Raising the loan-to-value restrictions may help a limited number of borrowers, according to Jaret Seiberg, an analyst for MF Global Inc.’s Washington Research Group, which analyzes public policy for institutional investors. The difficulty is that mortgage holders still must be up-to-date on their payments for the past six months — with no more than one missed payment in the past year. Additionally, they also must qualify for a new loan. Qualifying homeowners will be able to refinance their mortgages at the current low rates, which are currently near four percent. Obama’s move comes at a time when there is a fast-growing consensus that the nation’s declining housing market is negatively impacting the economic recovery. Home values are at eight-year lows; and more than 10 million people are underwater, meaning that they owe more than their homes are worth. “It’s a painful burden for middle-class families,” Obama said. “And it’s a drag on our economy.” The administration’s proposal underscores the scale of the problem, as well as the limits of public policy in resolving it. By cutting monthly payments, the Obama administration hopes to make cash available for consumers to spend elsewhere. According to housing regulators, one million borrowers might be eligible to participate in the program. Unfortunately, that is just 10 percent of the number of homeowners who need help. Although the Obama administration’s estimates say the average homeowner could save $2,500 per year, other projections said savings would be in the range of $312 annually. This depends on the upfront fees the borrower pays, which can include thousands of dollars in closing costs. “We know there are many homeowners who are eligible to refinance under HARP and those are the borrowers we want to reach,” said Edward DeMarco, acting director of the Federal Housing Finance Agency (FHFA), which administers Fannie Mae and Freddie Mac. The program expires at the end of 2013. “We believe these changes will make it easier for more people to refinance their mortgage,” DeMarco said. “Breaking this vicious cycle is one of the most pressing issues facing policy makers,” Federal Reserve Bank of New York President William C. Dudley said. The HARP revamp is part of multiple efforts the government is making to boost home prices and consumer spending. “It’s the equivalent of a tax cut for these families,” HUD’s Donovan said. Writing in The Atlantic, Daniel Indiviglio believes that the revised program has potential. “The administration appears to have accounted for all of the major obstacles to refinancing and eliminated them. A home’s value no longer matters. The cost should be less prohibitive to borrowers. Much legal red tape has been cut. Other loans tied to the home won’t stand in the way. Ample time to refinance is provided. This should help to allow at least a million Americans to refinance who haven’t had the opportunity to do so in the past. If this works as hoped, then those consumers will have more money in their pockets each month. Borrowers who see their mortgage interest rates drop from five percent or six percent to near four percent will often have a few hundred dollars more per month to spend or save. If they spend that money, then it will stimulate the economy and create jobs. If they save it or pay down their current debt, then their personal balance sheets will be healthier sooner and their spending will rise sooner than it would have otherwise. The effort may even prevent some strategic defaults, as underwater borrowers won’t feel as bad about their mortgages if their payment is reduced significantly,” Indiviglio said. Mortgage finance giants Fannie Mae and Freddie Mac might find themselves merged into a single government-run entity. Representative Gary Miller (R-CA) is set to unveil a bill that would create a utility-like entity and phase out government-controlled Fannie Mae and Freddie Mac. The new company would buy mortgages and repackage them as government-backed securities. The major difference from Fannie and Freddie lies in the fact that it would not have shareholder investors. The National Association of Homebuilders and the National Association of Realtors are expected to support the proposal, which reflects concerns by the industry, consumer groups and some policymakers that a complete withdrawal of government support for home lending could make the housing recession go further downhill. A competing proposal by Representatives Gary Peters (D-MI) and John Campbell (R-CA) would create a minimum of five private companies to replace the two co-called government-sponsored enterprises, or GSEs. The point of contention for many lawmakers is whether to provide a government backstop for mortgages and on what terms to provide the guarantee. House Financial Services Committee Chairman Spencer Bachus (R-AL) is trying to forge a consensus among Republican members. Any bill that is generated by Bachus’ committee and is passed by the Republican-led House would likely still be in jeopardy once it reaches the Democratic-controlled Senate. That would represent a sea change from February, when the Treasury Department recommended selling off Fannie Mae and Freddie Mac holdings within 10 years; Jeb Hensarling (R-TX) wanted to do it in half that time. Since then, homebuilders, real estate agents, investment banks, civil rights leaders and consumer advocates have lobbied to retain a government role — including the unspoken federal guarantee behind Fannie Mae and Freddie Mac. Congress created the programs as private companies to expand home ownership. Already, the government is slowing its efforts to prop up the housing market. Beginning this fall, the cap on Fannie and Freddie-backed mortgages — loans where taxpayers are on the hook if borrowers don’t pay — will decline in some regions. At the height of the housing crisis, Congress raised the cap to $729,750 in areas where homes are most expensive. After October, that will fall to $625,500. The limit varies by county. Mortgages that are too expensive to get backing from Fannie and Freddie are called jumbo loans and usually have higher interest rates and require larger downpayments. That maximum was set by Congress in 2008 in an attempt to ensure that borrowers could continue to obtain loans in particularly expensive housing markets during the credit crunch, especially in prime real estate locations, such as New York, Los Angeles and Washington, D.C.
Additionally, Fannie and Freddie are on track in 2011 to spend about $1.8 billion on what is known as “foreclosure costs,” which means maintaining and selling thousands of homes that became part of their ownership portfolios after the owners were unable to pay the mortgage. The costs are staggering, given that Fannie and Freddie together own approximately 153,000 foreclosed homes. “This is just one of the costs that Fannie and the rest of us will pay to dig out of a very big hole,” says Karen Petrou, of Federal Financial Analytics. When she says “the rest of us,” she is telling the truth. Fannie Mae’s tab to American taxpayers is up to $86 billion since September 2008 when it was taken into government conservatorship. During the 1st quarter of 2011, Fannie racked up $488 million in foreclosure-related expenses, including holding costs (insurance, taxes and maintenance); valuation adjustments for changes in market value; gains/loss when the property is sold; legal fees; eviction costs; weatherization costs to prevent pipes from bursting; costs to secure the property; and repair costs. “We want to make sure that we’re comparable with the market or with the neighborhood,” said Elonda Crocket, a Fannie Mae executives who is part of the management team of its massive portfolio of foreclosed properties. The goal is to stabilize the neighborhoods where there are foreclosed homes and get the properties to a condition where first-time homebuyers want to purchase them. “We want to make sure that we can maximize our return on the investment,” she said. In 2010, Fannie Mae repaired 87,000 foreclosed homes. “It makes them — I think — indisputably the largest purchaser of paint and general appliances for these homes they’re fixing up,” said Guy Cecala, publisher of Inside Mortgage Finance. “If they don’t maintain the houses, then the neighborhoods go downhill, other people are put at risk and the housing crisis gets worse because you have still more downward pressure on overall house prices,” Petrou said. Federal regulators at the Departments of Justice, Treasury and Housing, as well as the Federal Trade Commission, have ordered the nation’s largest banks to revamp their foreclosure procedures and compensate borrowers who were financially hurt by “pervasive” bad behavior or carelessness. According to the bank regulators, failure to comply with the rules will result in fines and a broad investigation conducted by state attorneys general and other federal agencies. The regulators acted after being criticized for not putting a halt to risky lending practices during the housing boom. Describing the lending practices as “a pattern of misconduct and negligence,” the Federal Reserve said that “These deficiencies represent significant and pervasive compliance failures and unsafe and unsound practices at these institutions.” Borrowers in trouble have complained that applying for a modification using the Obama administration’s program has been too complicated and characterized by multiple games of telephone tag. Enforcement requires servicers to set up compliance programs and hire an independent firm to review residential-foreclosures. The banks will be required to make sure that communications are more “effective” between borrowers and banks when it comes to foreclosure and mortgage-modification proceedings. Citibank, Bank of America, JPMorgan Chase and Wells Fargo, the nation’s four leading banks, top the list of financial firms cited by the Federal Reserve, Office of Thrift Supervision and Office of the Comptroller of the Currency. Citigroup said that it had “self-identified” desired changes in 2009 and that it has helped more than 1.1 million homeowners avoid foreclosure. “We are committed to working with our regulators to further strengthen our programs in these areas and meeting these new requirements,” the company said. As stern as the recent move seems to be, there are still critics. “These consent orders are worse than doing nothing,” said Alys Cohen, staff attorney for the National Consumer Law Center. “They set the bar so low on some things and they give the banks carte blanche on others. And they give the appearance of doing something while giving banks control of the process.” Additionally, consumer advocates and members of Congress said the new rules are too little, too late. More than 50 consumer groups don’t like the settlement, and claim that the expected settlements do little more than require mortgage servicers to obey existing laws and that they lack penalties. “They’re left to police their new improvements,” said Katherine Porter, a University of Iowa law professor who is an expert on mortgage services. Another concern is that the settlements may weaken the ability of 50 state attorneys general to force concessions from mortgage servicers. The attorneys general have been investigating mortgage servicers since last fall, and in March sent the companies a list of terms, which go further than those pursued by bank regulators. Iowa Attorney General Tom Miller, who’s leading the joint effort, says any settlements with banking regulators will not “pre-empt” the states’ efforts. 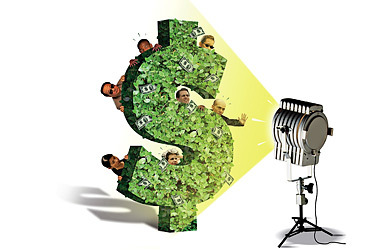 The Federal Reserve has obser ved that Wall Street’s big banks eased credit terms for hedge funds and private equity firms in the 4th quarter of 2010. More banks believe that credit terms have “eased somewhat” than those that think it has “tightened somewhat” in the last three months of 2010, according to the Fed’s year-end financing survey. Hedge funds and other investors worked harder to negotiate favorable terms for transactions; 55 percent of dealers responded that clients “increased somewhat” or “increased considerably” their requests for concessions. “More-aggressive competition from other institutions and an improvement in the current or expected financial strength of counterparties were frequently cited reasons for the easing of terms,” the Fed report said. In addition, the banks surveyed said borrowers have increased efforts to negotiate better terms. “Dealers also noted that demand for funding of all categories of securities covered in the survey had increased over the past three months, including demand for funding of equities,” the report said. A recent Washington Post poll found that 53 percent of all Americans are concerned that they will not be able to pay their mortgage or rent, despite the fact that they believe the economy has shown some improvement since the dark days of 2008. The worry is driven by slow job creation, said Karen Dynan, who served as a Federal Reserve economist and on George W. Bush’s Council of Economic Advisors. According to Dynan, “The unemployment rate is still very high, so if you think of it as being about the odds of someone losing their job and not being able to find another there’s good reason to be concerned about being able to make mortgage payments,” according to Dynan, who is now co-director of economic studies at the Brookings Institution. More than half of Americans want the Obama administration to impose a moratorium on foreclosures on homeowners who are unable to make payments. The president and his economic advisors oppose the idea, saying it is dangerous to a housing market that is still on shaky ground. The push for a moratorium is driven primarily by people’s worries about personal finances and the economy as a whole. Not surprisingly, the people most worried about making their payments are strong supporters of the moratorium. Compounding the situation is the fact that several lenders – notably Bank of America, JPMorgan Chase and Ally Financial – were found to have significant errors in some of their foreclosure documents. Of those polled, 52 percent support the moratorium, while 34 percent oppose it. So who do Americans think is responsible for the foreclosure mess? The mortgage lenders are to blame, according to 45 percent of poll respondents; 26 percent thought that homebuyers who purchased beyond their means are the guilty party; another 20 percent blames both sides. Cara Habegger of Akron, OH, summed up the last point of view. “Certainly they are both at fault. Most people tend to blame the big institutions and that’s valid but if you’re making poor financial decisions and buying houses you can’t afford, that’s also not excusable,” she said. 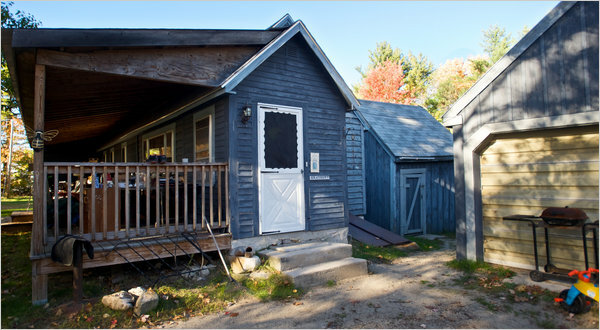 A small, weathered, blue-gray house in Denmark, ME, set off a national uproar about the foreclosure crisis when its owner, Nicolle Bradbury, lost her job and stopped paying her mortgage two years ago. The family, which includes Bradbury’s disabled husband and two children, lives on food stamps and welfare. When the bank started to foreclose on the house, Bradbury contacted Pine Tree Legal Assistance, a non-profit group and was lucky enough to have her file read by retired attorney Thomas A. Cox, who decided to help her as much as possible. Cox’s act set off a national foreclosure uproar, with the attorneys general of all 50 states opening investigations into the bad paperwork and questionable methods behind many of them. The Senate plans to hold a hearing and the federal government is taking a closer look. The housing market – currently fueled by foreclosure sales – is chaotic. All this occurred because Cox thought something about Bradbury’s foreclosure file didn’t look right. In reading Bradbury’s filing, Cox noticed that the documents from GMAC Mortgage were approved by an employee whose title was “limited signing officer”, which indicated that the person who approved the foreclosure likely knew little about the case. When Cox won the right to get a deposition from the employee in question, he learned that the individual had signed off on as many as 400 foreclosures a day, and that no one at GMAC Mortgage had actually reviewed the documents. “A lot of people say we just want a free ride,” according to Bradbury. “That’s not it. I’ve worked since I was 14. I’m not lazy. I’m just trying to keep us together. If we lost the house, my family would have to break up.” Unfortunately, Bradbury is almost certain to lose her house, despite the errors made in the foreclosure process. “Had GMAC followed the legal requirements, she would have lost her home a long time ago,” said Geoffrey S. Lewis, another attorney on the case. To listen to The Alter Group podcast on solving the foreclosure crisis, click here. Federal Reserve Chairman Ben Bernanke is warning that – even as the nation struggles to recover from the worst recession in 75 years – Congress must deal with an “unsustainable” level of debt. “Our nation’s fiscal position has deteriorated appreciably since the onset of the financial crisis and the recession,” Bernanke said in testimony before the House Budget Committee. 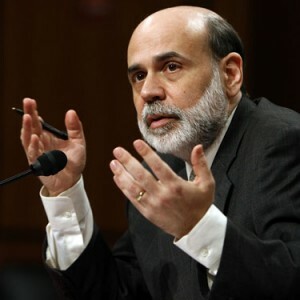 Although Bernanke admits that the deficit was a necessary evil designed to bring the nation out of a deep recession, it has to be addressed in the long term because of the European debt crisis. The budget deficit gap will narrow as the economy improves and stimulus programs are phased out. The Fed chairman still sees several drags on the economy. First and foremost is the jobless rate, which stands at 9.7 percent nationally, as well as the housing market that is plagued by foreclosures and short sales – of which 4.5 million are expected this year. The good news is that the Fed’s recently updated Beige Book found that consumer and business spending are up slightly. There is limited growth in the manufacturing, non-financial services and transportation sectors. The housing market is expected to remain flat, thanks to the expiration of government-funded subsidies. According to the Mortgage Bankers Association, the number of people applying for mortgages has fallen to its lowest level in 13 years. Tourism also is down, partly because of the Gulf of Mexico oil spill. Inflation also is low, making it probable that the Fed will keep the benchmark U.S. interest rate close to zero. 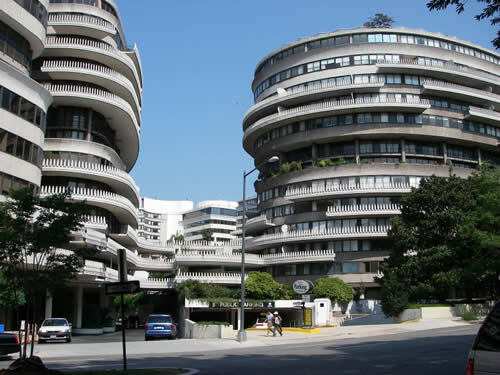 Washington, D.C.’s fabled Watergate Hotel – the site of the notorious 1972 break-in at the Democratic National Committee headquarters that set off the political scandal that toppled Richard M. Nixon’s presidency – has been sold and will be redeveloped as an “upper-upscale hotel”. According to The Wall Street Journal, Euro Capital Partners, a redevelopment specialist, purchased the 43-year-old, 251-room hotel which has been closed since 2007 and had been foreclosed on by the German bank PB Capital. “The Watergate is exactly the profile of what we’ve done and redone many times,” according to Jacque Cohen, a Euro Capital Partners principal, “with the difference that the Watergate is even easier” because it is relatively newer. Renovation plans include a spa, meeting spaces, restaurants and bars that Cohen said would “improve the whole Watergate complex” and the surrounding neighborhood. Rooms at the Watergate, which is within walking distance of the Kennedy Center and Georgetown, will be priced upwards of $300 a night. Previous Euro Capital projects have included the Hilton Arc de Triomphe Paris and Washington, D.C.’s Hamilton Crowne Hotel. The neglected hotel’s multi-million dollar renovation is expected to take at least two years. Headquartered in Paris and New York, Euro Capital specializes in redeveloping pre-World War II properties into upscale hotels, offices and condominiums. 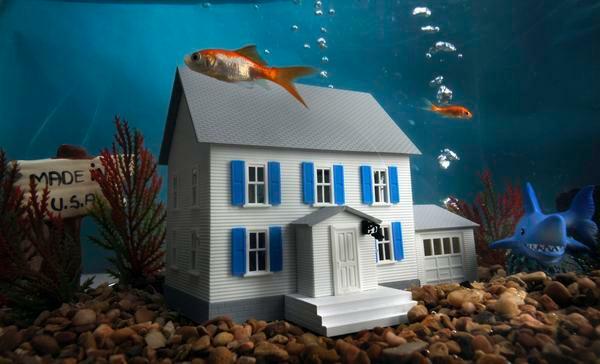 Bank of America (BofA) is taking steps to write down mortgage principal owed by thousands of underwater homeowners in what has been termed “the mortgage industry’s boldest move yet” to resolve the nation’s foreclosure problem. Bank of America can well afford the initiative. According to Betsy Graseck, a Morgan Stanley analyst, the ultimate cost of principal reductions is “immaterial” because the majority of the $10 billion pool of loans that are eligible for the write-downs are no longer carried on Bank of America’s balance sheet. BofA holds just $1.5 to $2 billion of eligible loans and has already reserved against expected losses on these mortgages. The loans are among the most exotic and risky subprime products that were available during the housing boom. One is the Option ARM, which originated with an extremely low interest rate and resets at a significantly higher level after a few years. The rest of the eligible loans – inherited by BofA through its 2007 acquisition of Countrywide Financial – are already securitized and investor owned. Although the move is giving BofA valuable free publicity, it results from a settlement between the attorney generals of several states and the bank. Even though some investors complained it wasn’t fair for BofA to agree to the modifications since they were not assuming the majority of the losses, the AGs refused to give up. BofA is trying to placate the investors by assuring that the modification amounts will be reduced if house prices recover in the next few years. Additionally, the BofA program is being called a archetype for other lenders.